Making Good Decisions With Your Money #Infographic ~ Visualistan '+g+"
Imagine if you had a magic book you could open that would tell you which way the economy is headed, helping you to make a better informed decision about your business. Well, that magic book exists and it’s called economic indices. You can look at certain variables within the economy and reasonably predict whether the economy is headed for a downturn or is about to hit an upswing. If you have two indices that are contradicting each other there is another index that can help you interpret the data - the law index. When lots of people are hiring lawyers to handle foreclosures, it can indicate that the economy is about to hit a serious downturn. If lots of people are hiring lawyers to purchase homes it can indicate that things are on the upswing. Making business decisions based on these indices can help you to grow your business in a more measured and calculated way, leading to greater business success in the long run. 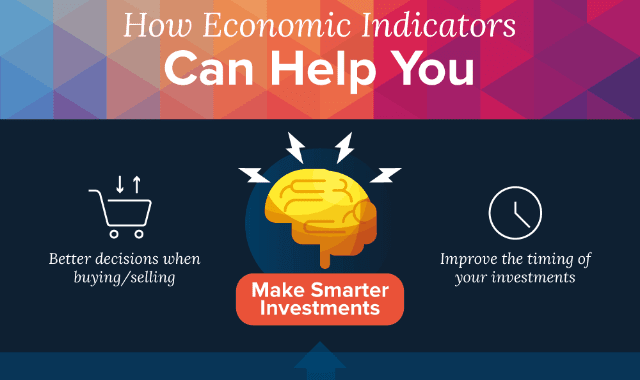 Learn more about economic indices from this infographic!